Local TD Michael Fitzmaurice said he is “dismayed” at the news. EMPLOYEES AT A cigar factory in Ballaghaderreen, Co Roscommon have been told they are facing redundancy. Exclusive Cigar Manufacturers Ireland’s 38 workers have been told they will lose their jobs next month unless an alternative to closing the factory is found. 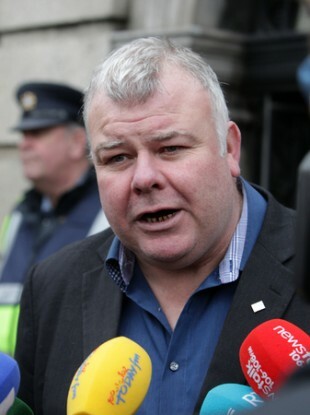 Local independent TD Michael Fitzmaurice said he is “dismayed” at the news that redundancies could come into effect as early as 15 May. “It is a huge jobs blow to the region and I will be seeking a meeting with the management of the plant to find out what their exact plans are for the closure and for the premises going forward. Fitzmaurice added that he will raise the issue with Jobs Minister Mary Mitchell O’Connor and ask Enterprise Ireland and the IDA to “prioritise the Ballaghaderreen area for alternative and additional employment as soon as possible”. Email “'A huge shock': Workers at Roscommon cigar factory facing redundancy”. Feedback on “'A huge shock': Workers at Roscommon cigar factory facing redundancy”.